What do i mean when I say, SUCCESSFUL WEBSITE WITH A BLOG? Built with a strong foundation. Jam-packed with all the essential plugins that will work for your website. A blog that is ready to explode from the start. A successful website will lead to a successful blogging business, right? When I launched my own website on the Early 2017. I didn’t know anything about that. I know nothing. at. all. In this tutorial, I’m not just going to teach you HOW TO LAUNCH YOU WEBSITE WITH A BLOG ON WORDPRESS but how to make that website a “BLOGGING BUSINESS READY” which is a SUCCESSFUL WEBSITE just like what mentioned above. (NO TECH STUFF, NO WORRIES.).. I have prepared you these FREE RESOURCES that is ‘very’ useful on launching your website with blog tutorial. Website and Branding Checklist to keep you on track (make sure no to miss anything on launching your website) , Blog planner for you on planning your blogging business with tracker, Finding your niche workbook to know what to blog about and many many more!! By ticking this box, You express your consent to us processing your personal data to receive our weekly newsletter, access to our freebie library, and other offers by email. Unsubscribe at any time. Use your own website to bring out your passion. It is a great platform to share or teach. No matter what niche, there are people that are waiting for you. A lot bloggers are earning over $5k-$30k monthly from blog + business and note that they're in their own niche and to be one of them is 100% possible. To be able to control your time when working is one of the best thing. Work anytime and anywhere. Like literally, work while traveling or at home, with your family etc. Just in case you felt like, you can’t do it. Look at these bloggers. Note that, they are on their own topic/niche. They went through the same starting point just like you. Michelle of making sense of cents makes $100K ++ per month. Silas and Grace of Chasing Foxes made $3000 on their 3rd month. I went through the same process too. I earned $1,200+ in my 3rd month from my blog + biz. Stay-at-home. It’s crazy, right?! No worries, It’s going to be a quick but detailed tutorial. After this tutorial, you’ll have so maaaany takeaways. (I’m talking about freebies, yes.) Free resources to start your business exploding. Navigate Easier by just Clicking the buttons below. For you to be able to find out the best niche for you. Write down your answer to these questions. From there, it will help you figure out the best one for you. I will include here the workbook that I made “Finding your Niche Workbook” (Check below) for you to find out what to blog about. This Workbook is actionable and Fillable. In this part, list down what you are passionate about. Being an "expert" is not required. Alright, let me help you figure it out. What is the passion that you search on google or Pinterest all the time? Or watch on youtube? The passion you want to read all the time from anywhere (like Book etc) What makes you excited when it's the topic with your friends or other people (because you know you really love to talk about that and you'd love to learn about that from other people too) What passion makes you stay up late at night? Set aside the humility for a while. List down what you are good at - your skills, your advantages (such as your degree etc), or you can ask your friend what they think you are good at..
Do you have an extraordinary eye for Instagram editing? Are you good at marketing? or you have a degree that's connected to your passion? Maybe you are good at budgeting? Experience from doing something? or your experience from the past job? It doesn't need to be perfect to be considered. Just write it down. After you niche down, think about how are you going to monetize them and how do you think it will help people according to their needs? For example, you are going to make a bunch of tutorials. Practice sheets for arts, for music lesson? Make an online course about? Or even online coaching about business, life, marriage ? how about making a blog to give exposure of what you do? If you really want this to work, you should find a way to monetize your niche. This FREE workbook contains exercises for you to figure out the perfect niche for your blog. This will help you set your direction and get clear about your focus. Now that you have your niche, it’s time to create your domain name. So, what do you want to call your website? This is going to be the URL of your website (https://yourdomainname.com) I suggest have your domain name connected to your niche, here’s why. I got the idea from the word “patisserie” because the definition of that is “a shop where pastry is made and sold” and when you read or hear that word, you’ll immediately get the idea what place it is. (When I was young I’ve always wanted to become a “pâtissier”, but I ended up in the design industry.) I chose “designerie”, since I meant with that is, my website is a design studio where designs are made. As you can see, there’s a word design where you’ll get an idea instantly that I do design. I recommend going for “GrowBig Plan” because it is perfect for startup businesses considering it’s free back up restore, WordPress Special Cache and PRIORITY SUPPORT. But! you can always go to the “Startup plan”. The reason why priority support is important is that you won’t have to worry about insides and technical setup because SITEGROUND SUPPORT will help you with it ANYTIME 24/7, If you are having trouble now or in the future, you can reach them ASAP. (or even do the work for you if you really hate the tech stuff. Yep, they’re doing this and I’m so loving it. They saved me so much time!) Since you are priority for the tech support, You are not going to wait hours just for them accommodate you. “GrowBig Plan” because it offers MULTIPLE WEBSITES, which means if you changed your mind about your niche or want to create a new website. You don’t have to purchase a new plan anymore. Simply, you can create a new website under the same plan which is the “GROWBIG Plan”. Unlike to Startup Plan, One website only. The next step is to input your chosen domain name for your website. Remember the domain name that we’ve discussed before this? That’s it. After that, you’ll land to the 3rd step where you will input all your information. Keep in mind that, hosting is the primary investment for your blog to make it up and running. If you want a monetize-able blog, I definitely (and other bloggers) don’t recommend using free websites. We’re talking about investment here, because we are taking it back. You are going to earn that back. Launching your website means ‘a lot of things to do’. I have included all the things you need to do when creating a website in this checklist, and this will help you keep on track or not to miss anything even if you skip a step for a while. All the essential tools and plugins are in this checklist as well! From checking your Branding Design, Social Media, Website Design, website posts, S.E.O. etc! The Ultimate Checklist for your website and branding launch! This is made to make sure you have done everything you need to do on your website before launching. From website foundation to important plugins and tools and pre-launch check. Your website being up 24/7 is very essential. I'm sure no one will love when a target audience landed on your "down" website. "404 page not found" is not an ideal first impression and surely they will never come back. This is the top strength of SITEGROUND that no other hosting can beat. Evidently, SITEGROUND is making sure your business is up day and night. From GROWBIG plan and higher, they offer SuperCacher which means, no matter how traffic comes all in one, no website hangs and stops for your visitors. No annoying loading time and slow blog. Super Cacher will make your website fly, I'm talking about massive speed here. I highly recommend GrowBig Plan to get this feature. If you are wondering why I love SITEGROUND and I recommend it a lot. I will give you a quick explanation why and glance at their amazing features. By this time, you should have your hosting already. Congratulations! Installing WordPress is just an easy-peasy and can be completed in just a few minutes. Of course, first, you need to log in to your SiteGround account. After you log in, go to My Accounts. and then a form will appear (Just like the photo below). Just fill them up with your details. Admin Username: choose the admin username you want to use, This is the username you are going to use to login on wordpress / backend of your website. Make sure to remember and save this. Admin Password: create your password. This is the password you are going to use to login on WordPress / backend of your website. WordPress automatically create a safe password for you, but you can change it though. Make sure to remember and save this. Admin Email: Put your Email address. Select Language: English. But it’s up to you if you are going to use other language. Choose a Theme to Install: I recommend not to choose one yet. You should see your front end first. From there, you can decide. CONGRATULATIONS! YOU CREATED YOUR BLOG! You have now your own blog with SiteGround! Go explore the WordPress a little bit. The next following steps are going to be about your website template, design and most importantly, BRANDING DESIGN. If you’re thinking of logo, that’s right. but it’s only a part of the branding design. Branding gives your business the tone and feel. It gives people the idea of your company. It consists of logos, color scheme, and fonts that communicates to the right audience. It communicates when a brand is thoughtful and Thoughtful design separates you from your competitors. It’s hard to explain it in the easiest way. Branding is a definitely a long discussion but I hope this quotation will somehow help you understand. Branding makes your business unforgettable and recognizable. It demands a lot of studies and effort to create one. For example, what company might you think of if you saw an orange check anywhere? You know what is it, right? Same your branding. If they see this logo, or if they see a certain element that is from your branding. They’ll already recognize who owns that. What do i do? I will take this opportunity to say that as a designer myself, I know the importance of branding identity design to someone’s biz. Therefore, I definitely and highly suggest you get help from a design expert. There are questions to answer such as who is your target people, what you want them to feel about your branding, how to stand out from competitors and a lot more! If you decided to get our help to discover the visual branding you need for your business and skip DIY-ing your branding. Book a FREE call here. We value your success and We’d love to be a part of it. BUT!! If you are thinking about DIY-ing Branding Design, no problem dear! I’d still support you by giving this brand style guide template. You’ll discover in this template as well what you need to have on creating your own branding design. Here’s an amazing template that you will use for your branding identity design. This Brand Style Guide Template will compile your branding design and details. From your logo’s size to your color palette. This will help keep your branding cohesive as you’ll always have a branding reference whenever you are going to create a marketing collateral, designs etc for your business. Create your own brand style guide and see what it can do for you blog & business. Remember, Consistency is the key. Get the 10-page guide. Some people might say, it’s just a template. It’s just a design. You can just grab a free template or just don’t edit your website. Let’s talk about the importance of website design. When a target audience landed on your website, you have 8 seconds to make a good impression. If your website doesn’t show professionalism and quality, you are shoo-ing them away, seriously. According to research, 80% of your visitors will judge your credibility through your website design and 40% of visitors will stop engaging with an unattractive website design. Website design is not just a fancy thing to have. Your website also serves as a marketing tool for your blogging business. Website design is not just a “insert this design because it looks good”. A quality website must have a meaning and purpose. You’d want a website that generates leads and effective in attracting your target audiences. You want to present yourself as credible to turn visitors into customers as you are cultivating trust through web design. A website that converts is amazing, right? Giving your target audiences an unforgettable experience on your website is a must! I will share you my templates/theme TRUSTED sources. Note: If you want to skip DIY-ing your website and get help from an expert designer of Designerie & Co., Book a FREE Call here. We’d love to hear your story and We’re excited to turn your dream website into life. So, Designerie & Co. is glad to give you $100 OFF voucher (You can find that in the Startup kit) that You may use that to any of our service. The Divi Builder is a visual drag & drop page builder for WordPress that works with any theme. 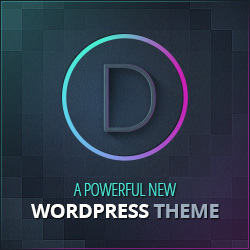 With over 87 beautiful themes and a bunch of layouts right inside the Divi. This is actually used by some designers because of the front-end designing with just a drag-and-drop. GeneratePress is a FREE fast, lightweight WordPress theme. (Less than 1mb size) With the modular structure of GP Premium, you can add the features you need when you need them. Compatible with ELEMENTOR is a front-end drag & drop page builder for WordPress. Elementor Pro is the best way to design on WordPress and build beautiful websites. Improve your design workflow and create websites faster and better than ever before. 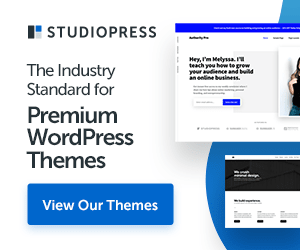 StudioPress has offered world-class themes that excel in both design and infrastructure: all of our themes are built on the Genesis Framework. The Genesis Framework empowers you to quickly and easily build incredible websites with WordPress. Whether you’re a novice or advanced developer, Genesis provides the secure and search-engine-optimized foundation that takes WordPress to places you never thought it could go. After getting the right builder and template for your website, it’s time to set-up the pages. One of the essential things that you shouldn’t miss. I have a list below of the essential pages that you should have – or if you already downloaded my “website and branding checklist” that I made for you which also has the list of the pages. This checklist will help you keep on-track on your website’s pages, SEO, etc. Making sure you don’t miss anything for your rocket-launch. Setting up your pages is actually easy. Design them easy to navigate and explore. Simply go to your WordPress dashboard and you will see this. So, what are the crucial pages? Don’t worry, If you haven’t decided yet on what to offer on your blog. You can always add pages later. Note: If you want to skip DIY-ing this setup pages and design thing, Designerie & Co. will help you save your time and save you from headaches. I’ve included $100 OFF voucher in the startup kit. People are waiting on what you are going to offer, let us handle this and We will develop an effective and custom crafted website design for you. Focus on your business and what you are going to offer. After your pages, you have to create content for your blog. Your content is actually a part of your branding. Your tone and way of speaking. I recommend checking out these posts from Ashlyn Carter of AshlynWrites.com. It will help you figure out what to write on your website. and she has a lot of freebies that you may check out to guide you in creating your content. Set-up your pages and Create your content with this checklist. This checklist contains all the pages you need for your website. This will help you keep on track with your content creation and it’s SEO. pre-launch check. WHY SETUP SOCIAL MEDIA FOR BLOG? Social Media plays a huge role when it comes to blogging. It is a place to promote your content, attracts the right audience/customer and also gets traffic to your website. Some bloggers establish their Social media at the very last part of the process, but I recommend you to set up your Social Media as early as now and get people excited for the Launch your blog (That’s how you do it with the bang!). The idea of Introducing yourself first and finding what your target people’s needs and problems, then figuring out a solution for them will make your target people excited about your launch! I did establish my Social Media first, It helped me find the right people and the right group that is in the same niche as mine! Also, It helped me discover who I want to work with when it comes to my services. From them, I get to learn new and different things. (Even business tips!) I found people I’d like to collaborate with and tons of freebies too! I have listed in my “Website and Branding Checklist” the Social Media you need to set-up and of course check them out when you already have them. Get your List of Pinterest group boards and Facebook group to join! This list contains Follows count, URL of the group, Niche of each group and Instructions on how to join! Now that you have created your blog. How are you going to make money? There are actually a bunch of ways to make money blogging. You can even implement some of them now. and under these categories are lots of options that you can do to earn money blogging. Many bloggers earn through advertisements. This is just the same as how other ads work. Ex. Television and newspaper. You’ll be paid depending on the CPM or CPC. These blog posts have a list of ad networks that you can join. Some of them may have traffic requirements but there are other ad networks (Ex. PopAds) that don’t require things much and has a minimum payout. They act as a middleman and run ads on your blog. These blogposts has a list of ad networks that you can join. Some of them may have traffic requirements but there are other ad networks (Ex. Google AdSense) that don’t require things much and has a minimum payout. They act as a middleman and run ads on your blog. This is another popular way to make money. Affiliate Marketing is just simply getting paid (commission) for referring new clients and buyers to another businesses/website. Some offer a dollar or cents on every visitor clicks from your website. No particular blogging niche will make more or less, no blog traffic requirements, it’s just about the strategy. There are blogging entrepreneur earns up to $50,000 with just the affiliate marketing alone. It’s an excellent starting point for monetizing your blog. ShareASale is an affiliate network that offers a lot of affiliate selections and makes sure to accommodate whatever niche you are in. Even some blogging entrepreneurs allow you to become an affiliate partner for their products. Aside from ShareASale, you can check out other affiliate networks such as CJ Affiliates, Amazon, Max Bounty, Clickbank etc. When it comes to product selling, there’s virtual and physical. Virtual products such as e-courses, printables, e-books, stock photos and more. These products will definitely take time to create but they’re amazing for passive income. For Physical products, which could be books, planner, printed materials, Invitation etc. You can sell e-courses via Teachable, where most of the bloggers sell their own and get to earn thousands monthly. Use SendOwl for selling digital products such as e-book, software, and, printables. Offering Services is another great way to make money. Whatever you are good at, you are skilled at or you have a degree of. There will always be someone who will be waiting for your service. Services such as blog coaching, Virtual Assistant, Copywriter, Website and Branding Design (Which we do) are some of the examples. You might be thinking of the one million dollar question now, “What if other bloggers are offering this already” . To remind you, It may sound or look the same, but the most important is you will offer a different experience. It’s like asking, why this school offers this certain education course if the other school offers this education as well? Not everyone is expert in tech stuff, marketing, design etc. So you can offer membership to bloggers who will be needing your help in some areas (that you are an expert/skilled/knowledgeable in). Maybe someone to maintain their blog or make graphics for them monthly. This might be for you if you want a firm recurring income. There are a lot of ways to make money through your website with a blog. You can be unique as you can. I figured out maybe these things can help you if you want to learn more about how to make money with your blog. Get your Free Blog Planner for blogging business. Comes with Income Tracker, Website Statistics and Actionable Monthly Planner. Ready for a successful blogging business? Road to a successful blog! Actionable and Profitable! Keep yourself on track and your website business-ready! Consistency of brand is the key. This guide will help you! Group list of Printerest and Facebook to join! Figure what to blog about - profitable and sustainable! Congratulations! All steps completed! I want to hear from you! When you’re done with your blog. Share me your journey and give me your link so I can review your newly created blog! Email me with a subject of “My new blog” or leave a comment down below. Just in case, the process is too overwhelming for you and honestly don’t know what to do. but then, you’re ready and eager to do this. I’m willing and I’ll do my best to give you a hand on creating your own website from start to finish. If you’re confused on some steps I left in here, don’t hesitate to ask for my help. I’d be glad to help people like you and seeing you on your best for success.